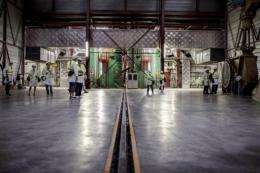 People walk in a corridor of the Eurodif SA/George Besse 1 uranium enrichment plant in Saint-Paul-Trois-Chateaux, France in May 2012. Immediate safety upgrades costing billions of euros are needed in nuclear power plants "nearly everywhere" in Europe, according to the results of EU "stress tests" released Thursday. Ordered in the aftermath of Japan's Fukushima disaster in March last year, the Europe-wide tests overall showed "satisfactory" safety, with no need for the immediate closure of a single European Union reactor, the bloc's Energy Commissioner Guenther Oettinger said. "However nearly everywhere there is a major potential for improvement," he said at a news conference. "There is no reason for us to be complacent." Saying many of the EU's 132 reactors failed even to meet international safety standards, Oettinger confirmed leaked reports that bringing plants up to scratch could cost anywhere between 10 billion and 25 billion euros ($13 billion-$32 billion). The stress tests, the commissioner added, were "not a blank cheque" but "an incitement to action" to ensure the highest possible standards are applied soon. "We would expect these steps to be taken immediately," he said as he urged governments to draw up timetables for action by year's end, with Brussels to review in June 2014 whether plants have been upgraded by then in line with safety requirements. Oettinger also said he hoped to strengthen Brussels' say in the future on nuclear safety issues by tightening up existing rules next year while also calling for compulsory civil liability insurance. With 111 European reactors located in built-up areas—that is, with more than 100,000 people living within 30 kilometres—Oettinger recognised that a next step would be to also evaluate risks to populations. The stress tests, carried out in 15 EU states plus neighbouring Switzerland and Ukraine, aimed to establish whether plants could resist extreme natural disasters such as earthquakes and flooding, as well as airplane crashes. They found that seismic instruments were either lacking or needed improvement in 121 reactors. At 81 of the sites checked, equipment for use in the case of severe accidents was not stored in a protected place where it would be quickly available in case of a disaster. Some 32 reactors—or 22 percent of the total—were not equipped with systems enabling the reactor to be safely depressurised in case of an accident. Looking at risks from quakes and flooding, the tests found that more than a third of the reactors, 54, did not use modern standards to calculate risks of tremors and more than 40 percent lacked updated devices to measure the risk of floods. The situation also differed from one country to the next. The French plants were equipped with hydrogen "recombiners" to prevent hydrogen gas explosions, but this was not the case at 10 British plants and in five of the six Spanish ones. The 12 German plants on the other hand were slammed for failing to fully implement "severe accident management guidelines." In a quick response, a British government spokesperson said "the stress tests undertaken on UK nuclear power stations found no significant weaknesses and the UK took the additional step of stress testing non-nuclear sites, which was not required by the European Commission. "There is no evidence that UK nuclear facilities are unsafe." France's nuclear safety authority, the ASN, meanwhile voiced "reservations" over the report and said the country was already taking action to improve safety. Why don't they just run them until they blow up? It is the Capitalist way.